What’s your formula for success in Program Effectiveness in 2019? What does the landscape for supply chain and corporate sustainability look like in 2019? We will review the challenges your programs might be facing – both the business challenges and broader external dynamics in the market. We will explore the implications of these headwinds and opportunities including unauthorized subcontracting, the relocation of production from China to Southeast Asia, and migrant workers in supply chains and ethical recruitment, to name a few. What do these challenges mean in terms of how programs should be designed to mitigate and manage risk? 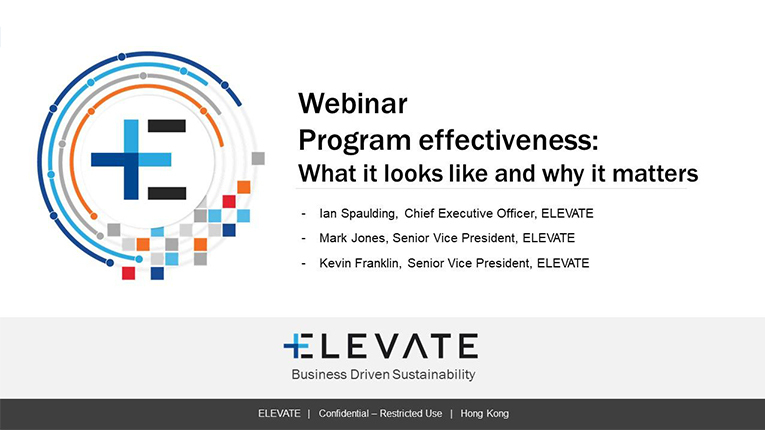 In this webinar, we will discuss the tools that exist to design and improve effective programs. Learn more about what that ecosystem of tools looks like, how tools and methodologies are interrelated, and how best to leverage synergies and drive impact in your supply chain.